OLD PARKED CARS. 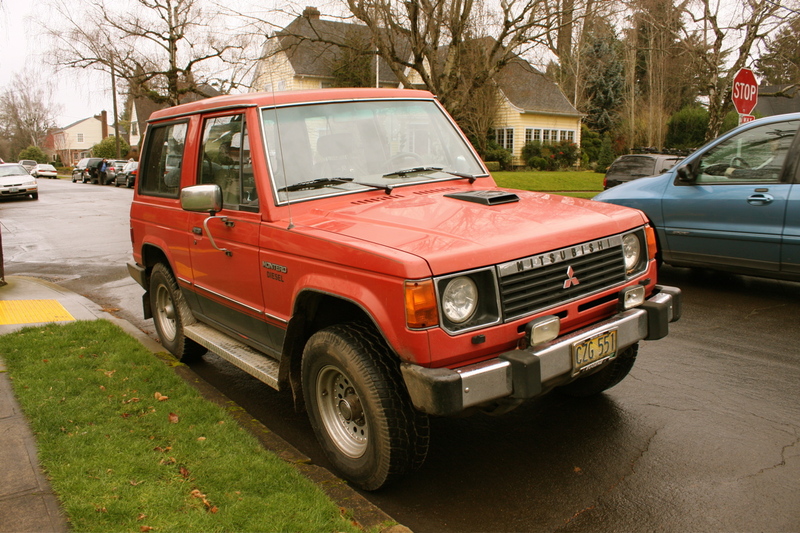 : 1986 Mitsubishi Montero Diesel. Boxy and beautiful. 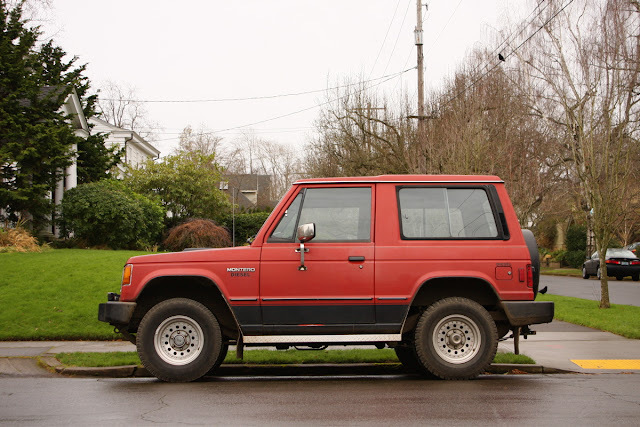 It's a 2 door and a diesel, so much awesomeness. their's a dodge version of this I see around me every once and a while always tempted to find the owner and ask how much he would sell it for just for kicks. awesome ride. Dodge version is called the Raider, iirc. Awesome 2 tone, the wheels really fit and that small offset power buldge on the hood is sweet. These are great! This is 4X4 correct? @ justin, yes the dodge version is called the raider. 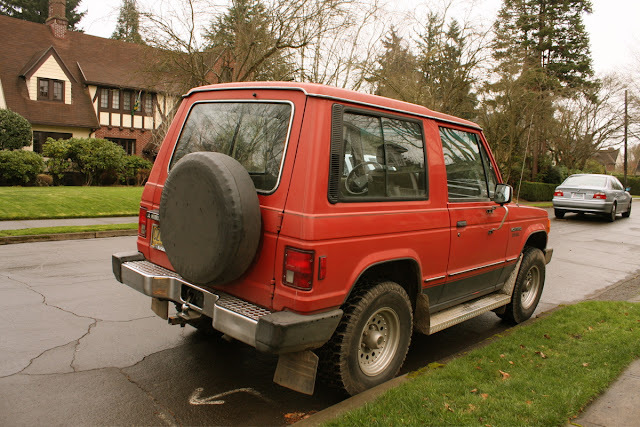 It would have been cool if Mitsubishi named them raider for the american market instead of dodge doing it to a carbon copy, Mitsubishi Raider sounds better than Dodge Raider imo. I don't know what it is but the name raider fits this truck to a T, dodge gave it a good name. The diesel version in the U. S. is rare. Most likely came down from Canada with no problem because diesels were exempt from U.S smog rules.